The living room seems to be the messiest place in my house. We play in there, watch movies in there, and yes, we allow some snacks in there. So this room is one that I am always cleaning up. 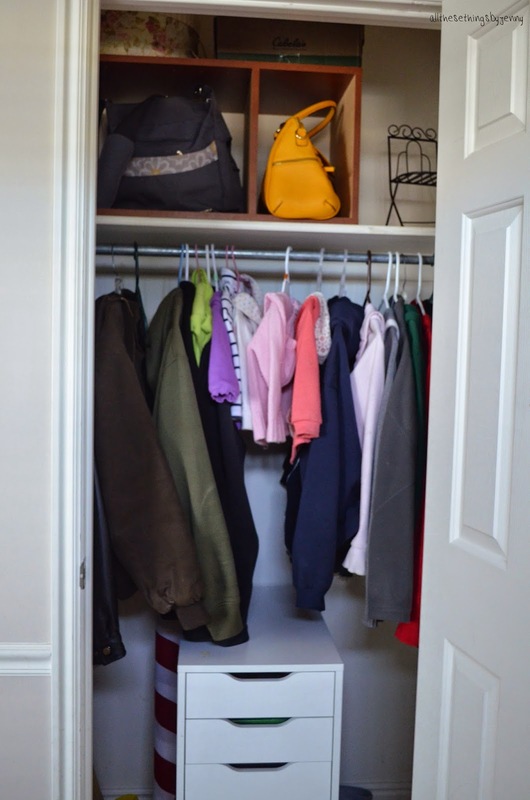 Especially after winter, we have coats everywhere and hats and scarves and shoes. We have been playing inside instead of outside, so we have toys and books a movies all over. 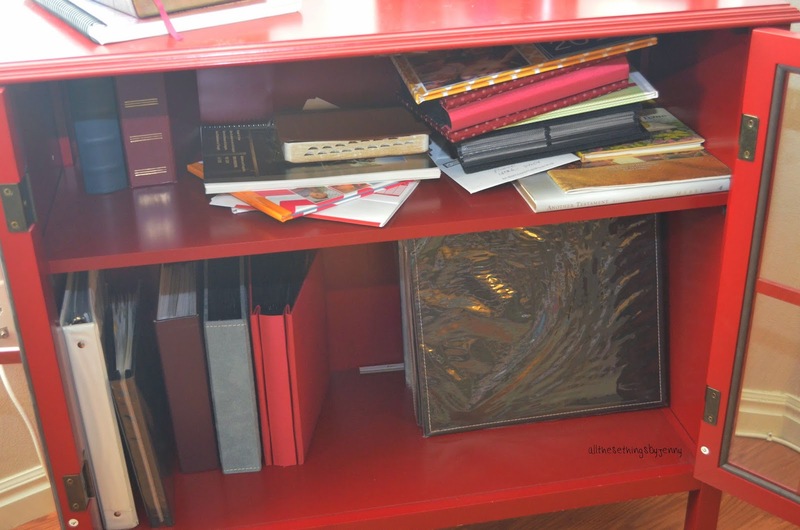 It's time to reorganize and get things under control. 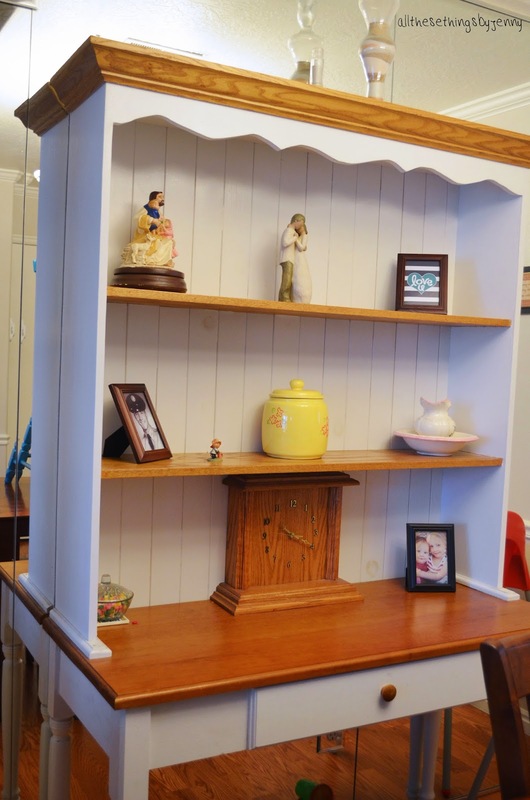 First, the coat closet. Going through the coats, and putting the ones that are too small either in a donation bag or in storage, and putting the snow clothes back in the attic are both things that I really, really enjoy. 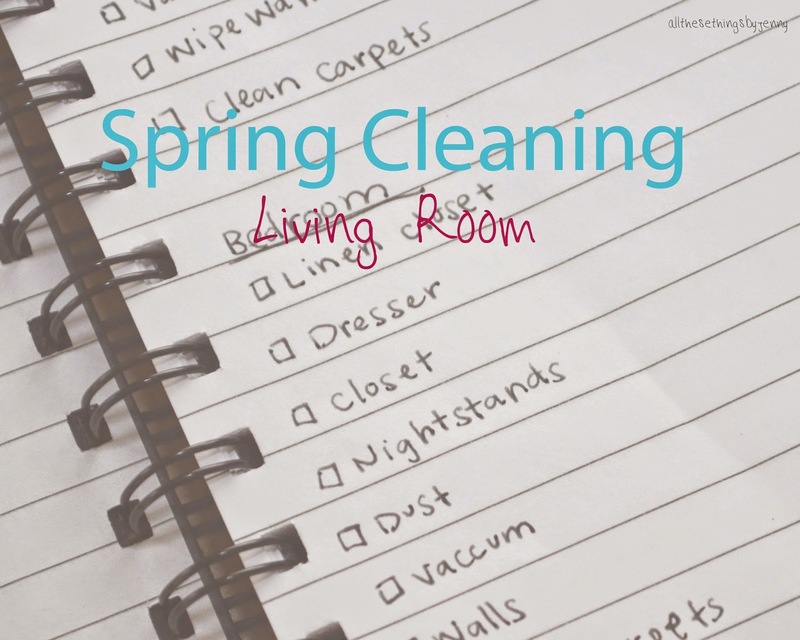 Not only is spring the beginning of warmer weather, but it's also the end of extra clutter. We got this little set of drawers to keep some of the toys in. 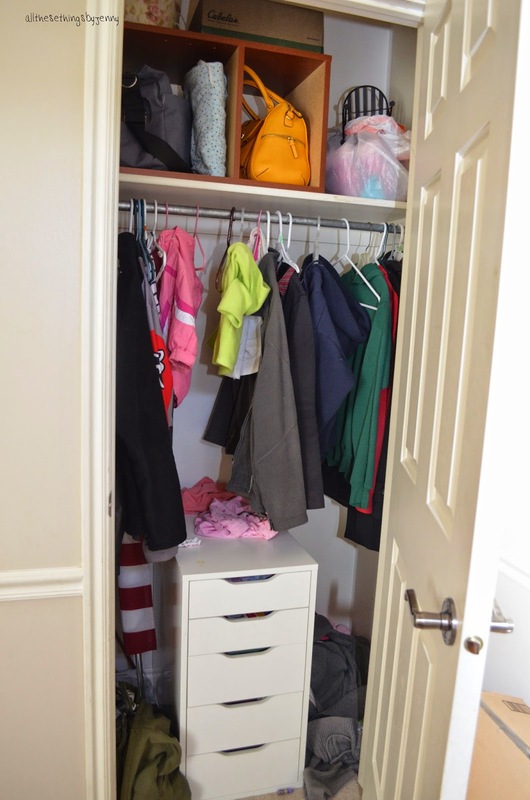 The puzzles, some books, the chalk crayons for the white board, paper dolls, all those kinds of toys get organized in there. 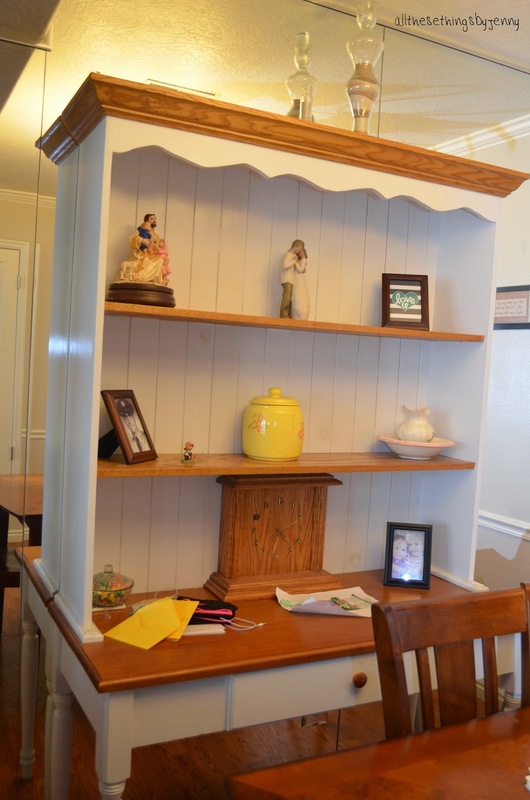 When the kids want a toy out of there, they know where to go and they know what to do when they are done with it. The bigger toys don't really have anywhere else to go but in our corner. I don't really love that they go there, but at this point, we just don't have another place for them so thats where they go. For all other toys, we have a bench in our kitchen that also doubles as a toy box. And I love it! Then we organize our movies and put them all back in the right spot. 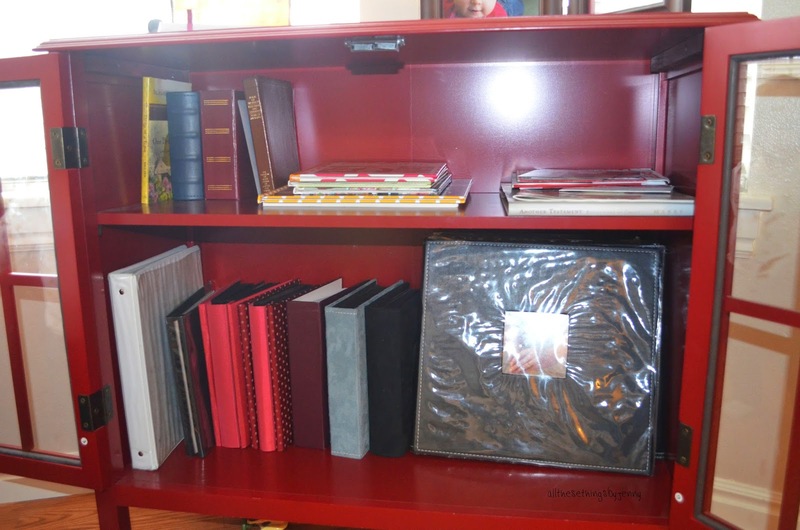 We keep our family picture books in this darling red cabinet that I got for Christmas a few years ago. That gets reorganized. Next we dust everything, and then it's vacuuming. We vacuum the rug and the wood floor. Our vacuum has an awesome attachment for vacuuming the wood floor. It makes it so much quicker than sweeping, and it gets everything, not just the big pieces. 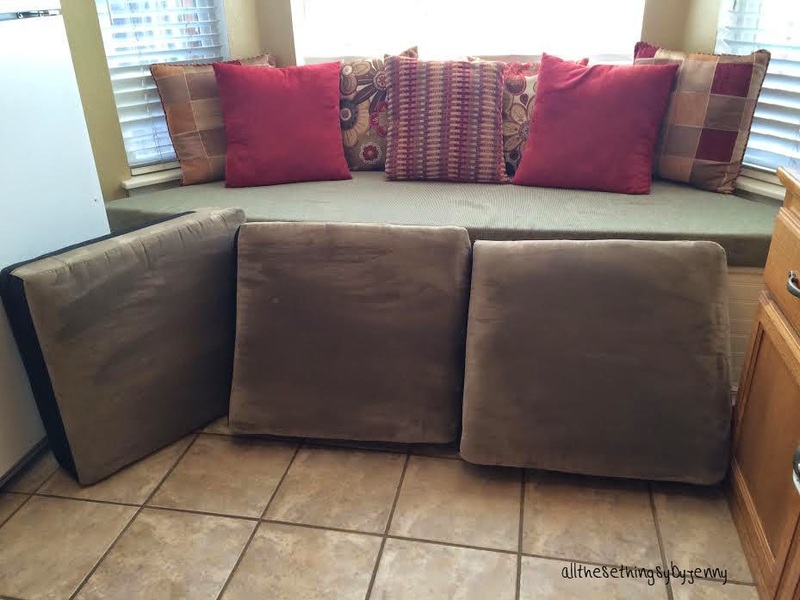 We also vacuum the couches. And then clear off the hutch. This tends to be our dumping grounds for mail and random papers. So it can get pretty cluttered sometimes. 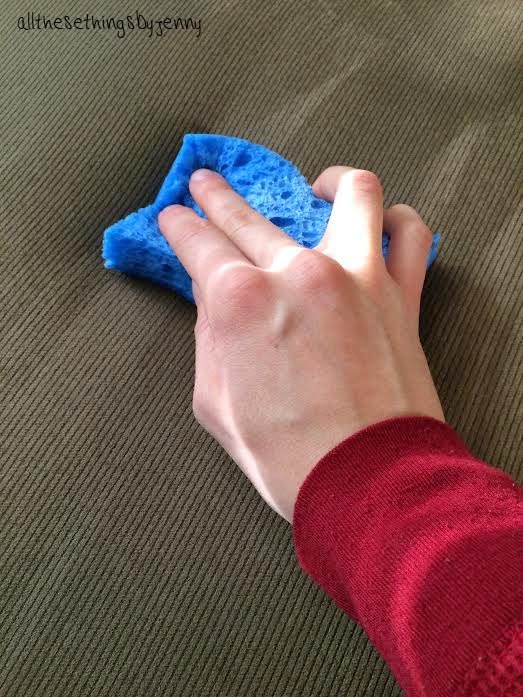 And last, we clean the couch cushions. The reason I love microfiber is because it's fairly easy to clean. 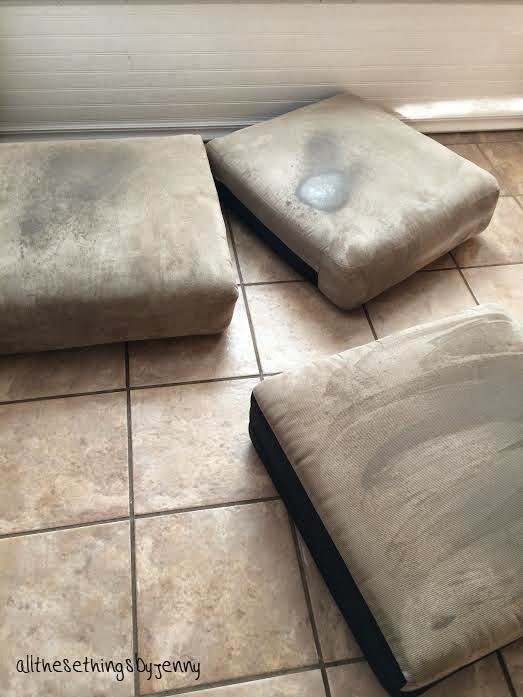 I just take the cushions off, lay them out in my kitchen, and then spray them with resolve. Then with the rough side of a sponge, I scrub them down and let them dry. 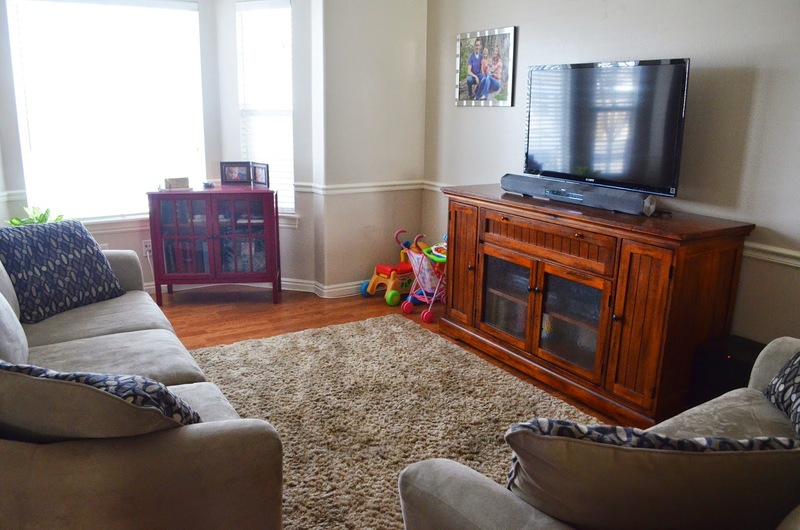 And then the living room is finally clean! 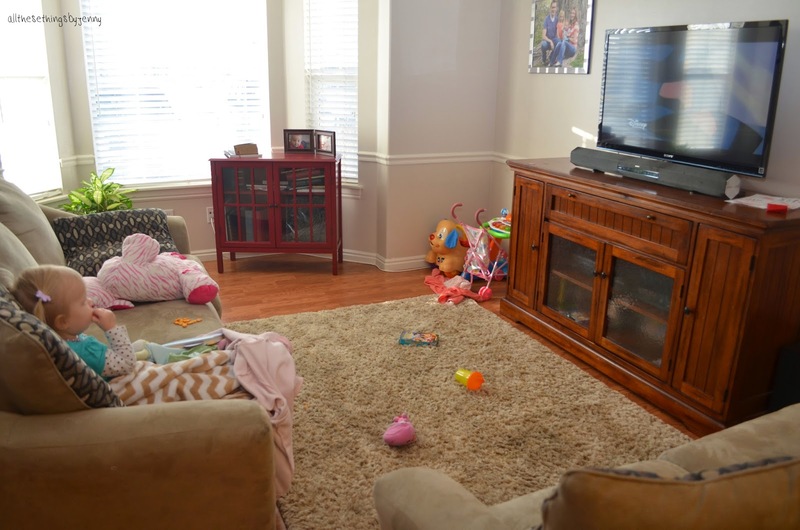 What is your messiest room in your house?